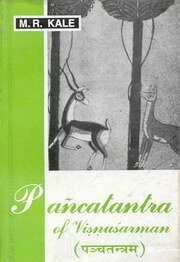 The Pancatantra is a famous literary work of Visnusarman the Court-Pandit of Kind Amarasakti of Mahilaropya in the south. Originally it was intended by the author to educate the princes of his patron in the science of politics and practical life. The work comprises five tantras consisting of stories interpersed with verses which are full of political maxims applicable to exigencies of life.